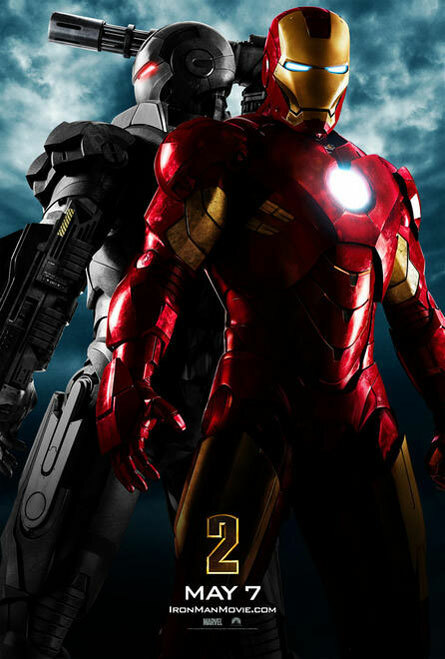 'Iron Man 2' will inevitably be compared to the first one in regards to how good it is. It is hard to say whether or not it actually is. At some points it seemed it was going to take off and be the kind of sequel 'The Dark Knight' was, but in the end, I am unable to feel like it was as good as the first one. Close, but no cigar. To justify this, we can start by discussing Robert Downey Jr's character Tony Stark. He is no doubt the highlight of the film and these Iron Man films have been able to do something most superhero movies fall short of. The audience is just as interested in Tony Stark when he is not in the Iron Man suit. Granted, they have a little leeway here being as everyone knows the identity of Iron Man, but still, I am just excited to watch Tony Stark, the man, square off with the U.S. senate as I am watching Tony Stark, the superhero, fight Mickey Rourke. The one glitch I have with the character this time around though is that we don't feel as personal with him as we did in the first. Here, he is a bigger celebrity and sometimes we feel more like a member of the paparazzi and less like one of his close friends. There is a personal aspect that doesn't make you feel as connected to Mr. Stark as you did in the first one. This may be a small complaint, but a valid one I think. What 'Iron Man 2' does very well is manage everything it has going on. There are so many characters and plot lines being set up and carried out it, but it never felt like the movie was about to explode from having too much in it, it flowed very nicely and if anything I felt a little short-changed at the end. Mickey Rourke didn't have as much to do as I was hoping for, although when he was on screen he was very good. His debut as whiplash on the race track is one of the best scenes in either film and it is able to capture the drama, action and heart of what Tony Stark is doing and who he is. As I write this I am even more impressed with how well writer Justin Therouex managed all these characters. Col. Rhodes, who is played here by Don Cheadle is much better and much more involved than Terrance Howards character was in the first. Maybe it's just because I like Don Cheadle more, but I felt he had more of a relationship with Tony and was able to convey that even with them having less screen time together in this one. As for Sam Rockwell, he is simply great, everything we expected from him he brings here. His character is obviously being set-up for future reasons in which he is sure to be used, but in this performance he is more the evil bad guy than anyone else. He is extravagant and self-confident all at the same time. I am most anxious to see where his story line goes. As for Scarlett Johannson, her appearances here felt only relevant as she will too play an important role in the Avengers and future Iron Man films. Same with Sam Jackson, though it would be a lie to say it isn't exciting watching this all come together. The little hints with the Captain America shield and the bit after the credits (of course you should stay) make us feel even more anxious to see this films preceeding ones. And so, at some points this only feels it serves the purpose of settign things up, but in looking at it as its own individual film, it is definitely fun and smart. don't think these films will ever fail to be that, they entertain us and keep us wanting more. That is exactly what they are supposed to do. Sure, the final battle could have lasted much longer and some parts felt more cohesive than others, but it was none the less fun, and thats all that really matters.